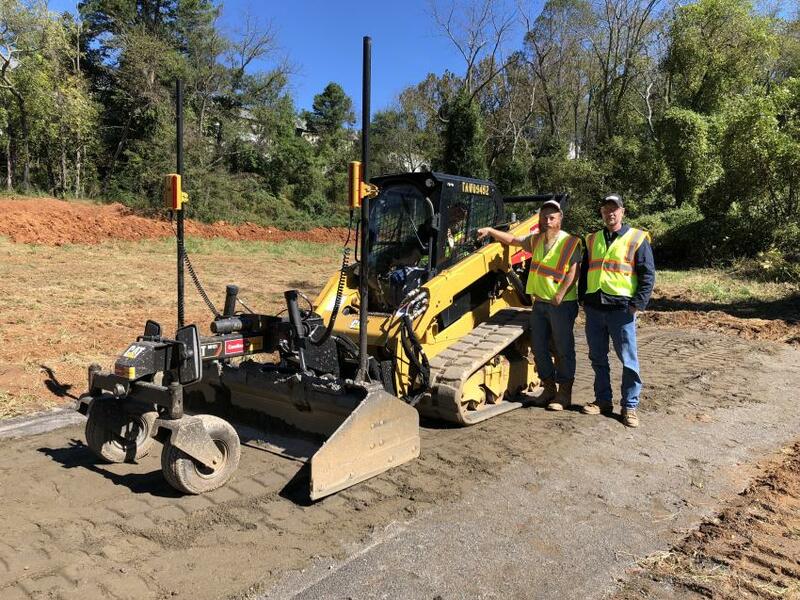 On Friday, Oct. 12, Carolina Cat hosted The Next Generation Technology Demo Day at its Asheville, N.C., branch. The event was held to help customers learn how to leverage today's technology to benefit their businesses. Available to try out were Cat dozers, excavators and compact track loaders, all equipped with the latest technological advances in machine control and guidance. 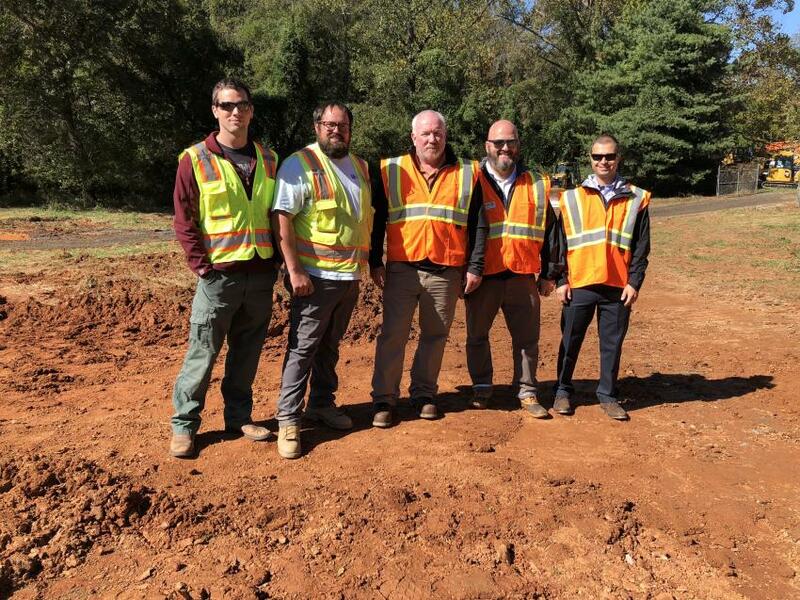 The guests were in the driver's seat and saw for themselves how the latest offerings can help them do more jobs in less time, save fuel and money, monitor their equipment more efficiently, enhance jobsite accuracy, eliminate grade stakes and improve safety. Cat Grade with 3D takes advantage of many components already built into today's Cat equipment, including sensors, displays and onboard data processing. 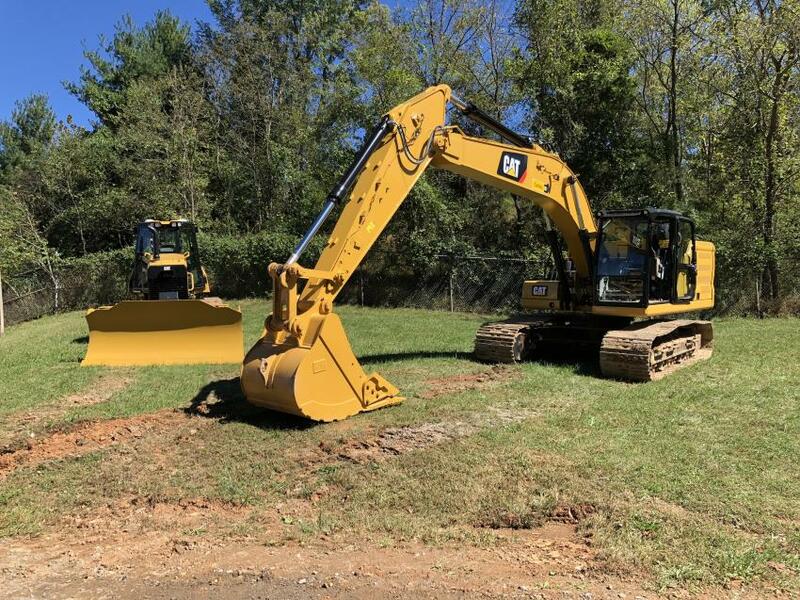 This factory solution reduces redundant components, gives the GPS receiver and sensor systems better protection and helps the productivity features of today's Cat equipment work together more seamlessly and effectively than ever. For Cat excavators, Standard Grade Assist automates boom, stick and bucket movements so operators stay on grade simply and effortlessly with single-lever digging. Cat Payload onboard weighing, integrated into the Cat 320 and 323 at the factory, delivers precise load targets and increased loading efficiency with on-the-go weighing and real-time payload estimates. The new Cat Grade with 3D for Dozers grade control platform is designed to help users do more in less time. The innovative, next-generation grade control platform features intuitive, easy-to-learn software that runs on an Android operating system. The platform offers dozer operators cab-mounted portability, a user-friendly Android user interface, and the convenience of a 10-in. touch screen. State-of-the-art software and hardware give operators of all skill levels the ability to work faster and more productively than ever before. Cat Grade with 3D for Dozers mounts dual GNSS receivers on top of the cab to eliminate masts and cables traditionally located on the blade. The dual GNSS receivers are ideal for steep slope work and complex designs with tight tolerances. Cat Accugrade BB-121 and BB-124 box blades were available to demo. 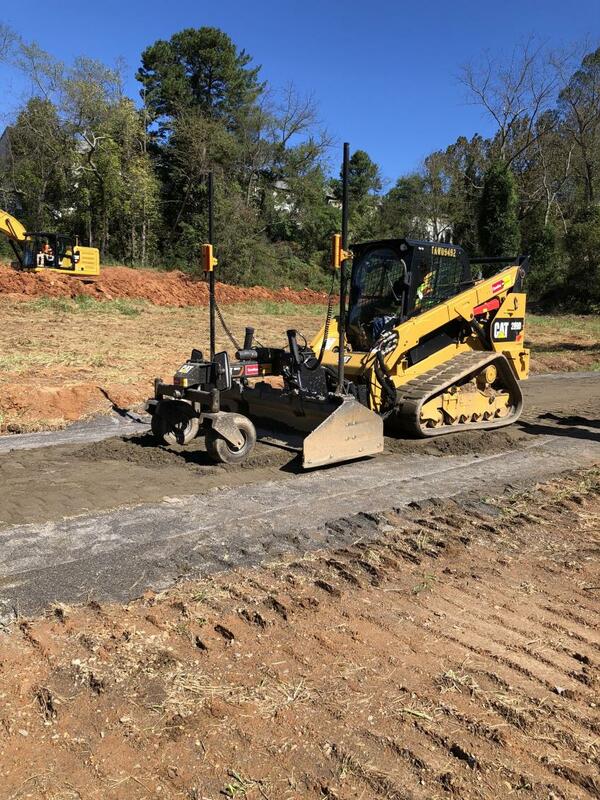 They are designed for grading and leveling of large commercial properties, housing pads, roadways, and parking lots and can operate both manually and automatically with the use of laser or GPS grading systems. The Cat 23 Next Generation excavator features Cat Payload on-board weighing, which delivers precise load targets and increased loading efficiency with on-the-go weighing and real-time payload estimates. 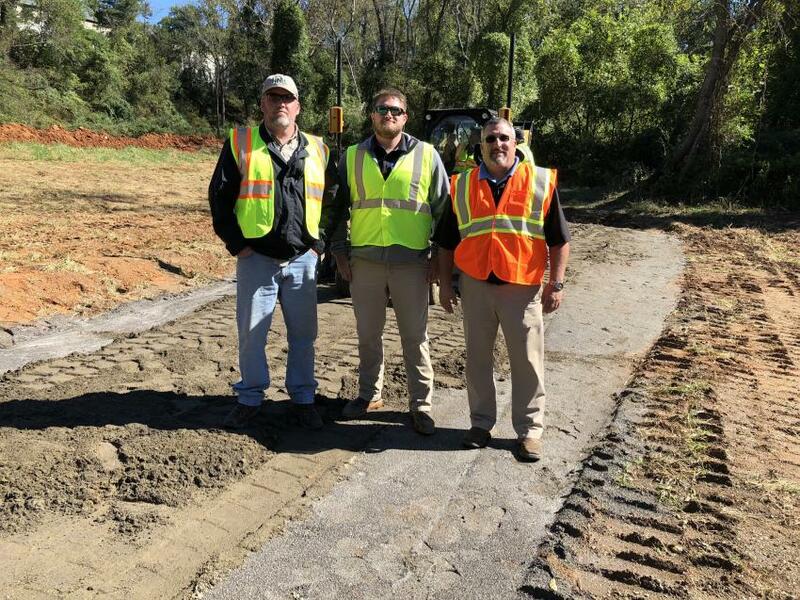 Brandon Brittain (L) and Brian Meece, both of Whitmire Trucking in Mills River, N.C., liked the Cat Accugrade BB-121 and BB-124 box blade attachments. The Cat 289D compact track loader outfitted with Accugrade BB-121 and BB-124 box blade attachments was kept busy by the guests during the event. 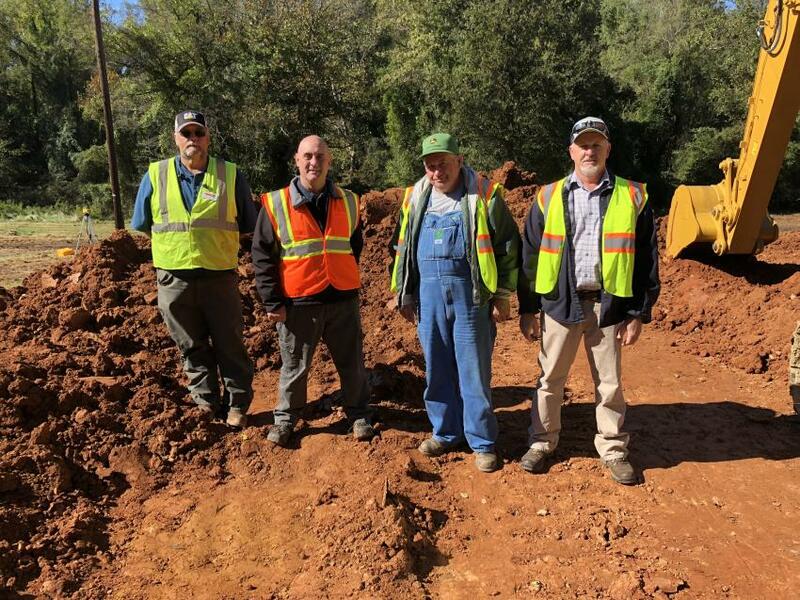 (L-R) are Dillon McMahon, Kenneth Greene, Mike Suttles and Mike Woody, all of Suttles Grading in McDowell County, N.C. The Cat 323 3D excavator, Cat D6K2 3D excavator and Cat D6K2 3D dozer. 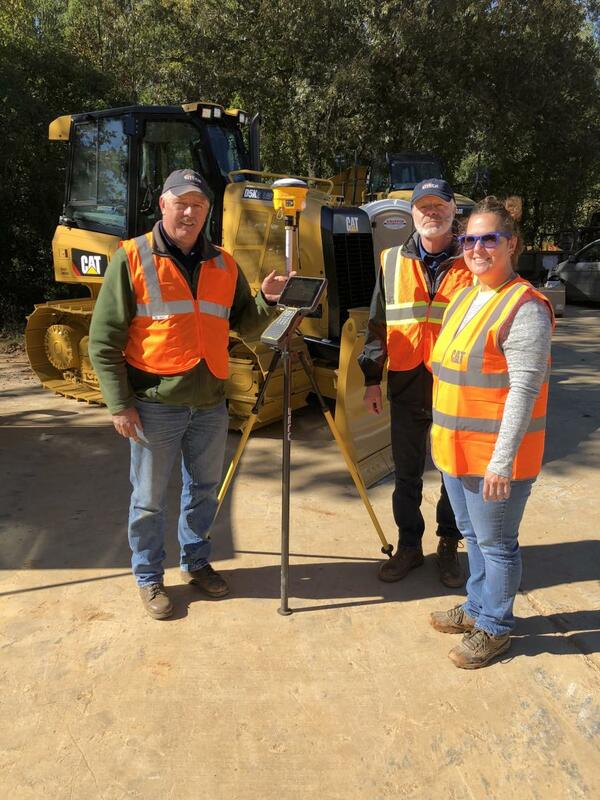 (L-R): Rob Hendrix, Randy Rohrer and Becky Huskins, all of Sitech Mid-Atlantic, had the Trimble TSC7 and SPS986 Survey Rover device out for the customers to look over. 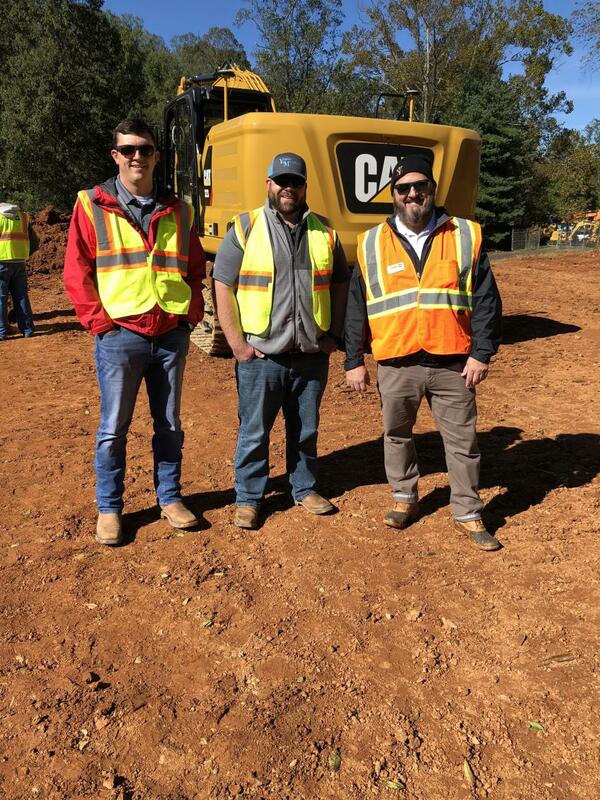 (L-R) are Justin Canipe and Adam Tipton, both of Young & McQueen Grading Company in Burnsville, N.C., talk excavators with Mark Kincer, Carolina Cat. 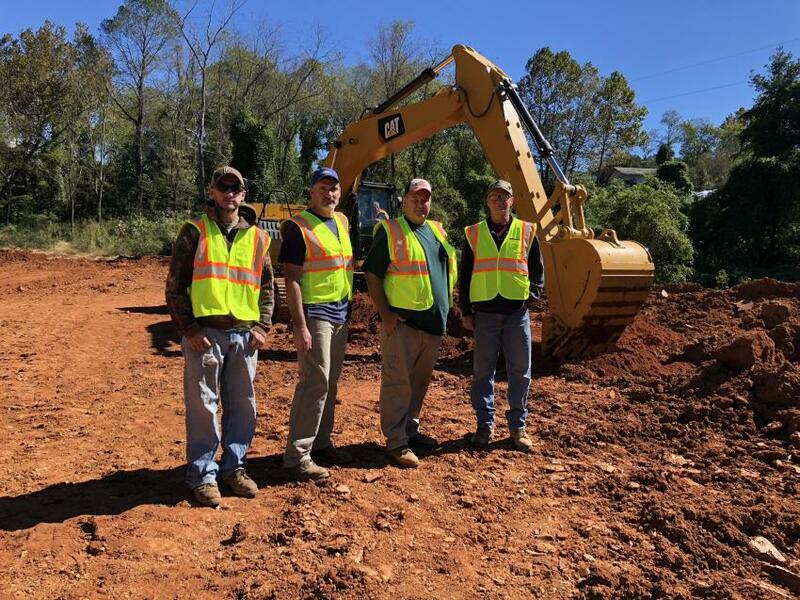 (L-R) are Phil Greene and Robert Bugg, both of Carolina Cat; and David Cassada and Larry Penland, both of Penland Contracting in Franklin, N.C.
(L-R) are Phil Greene, Carolina Cat; Chris Greggory and Chase Godfrey, both of Godfrey Grading in Black Mountain, N.C.; and Charlie Harwood, Carolina Cat. 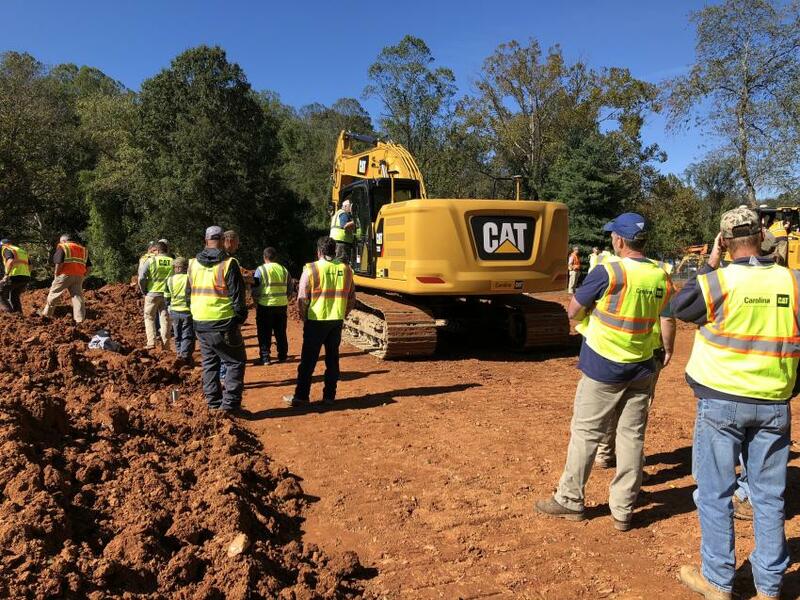 The guests waited to try out the Cat 323 excavator with Standard Grade Assist, which automates boom, stick and bucket movements, so operators stay on grade simply and effortlessly with semi-autonomous digging. 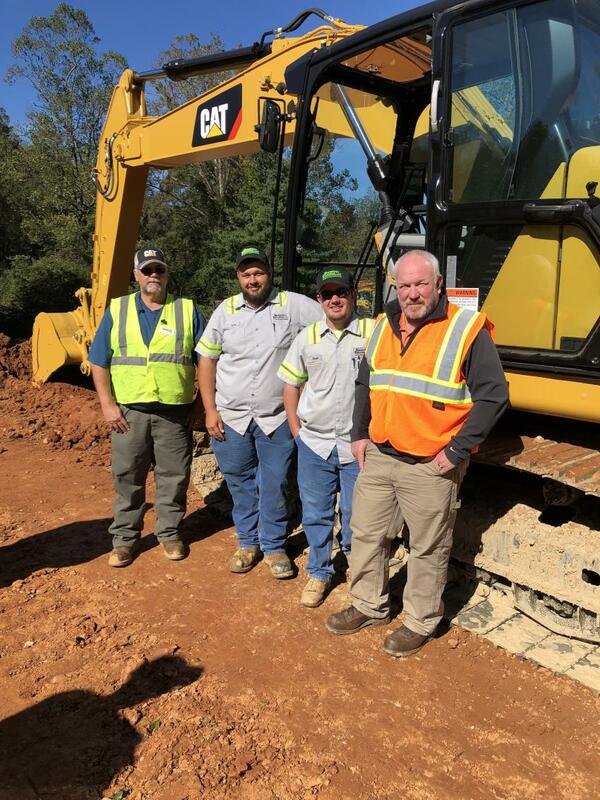 Talking about the Cat Accugrade BB-121 and BB-124 box blades are (L-R) Bobby Jones, HNH Construction, Asheville, N.C.; and Spencer Sain and Ben Patrick, both of Carolina Cat. 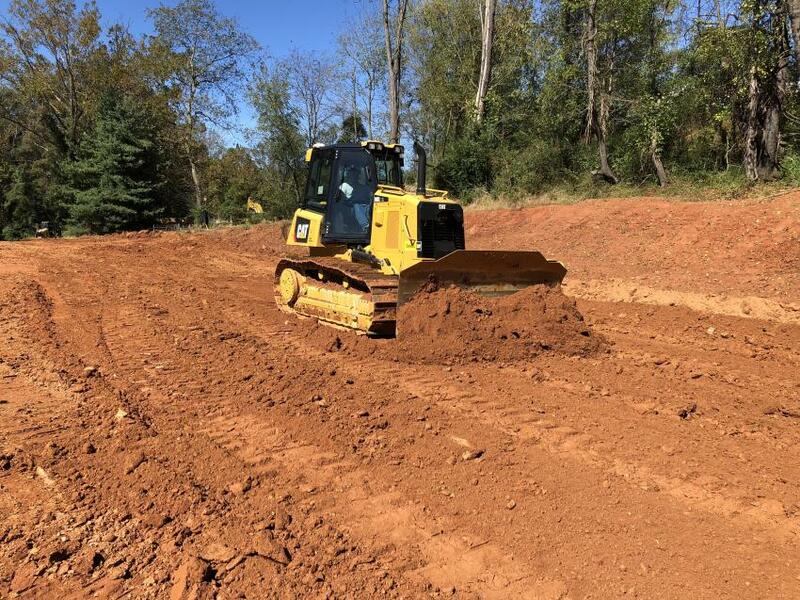 The Cat D6K2 dozer is smarter and more efficient than ever. 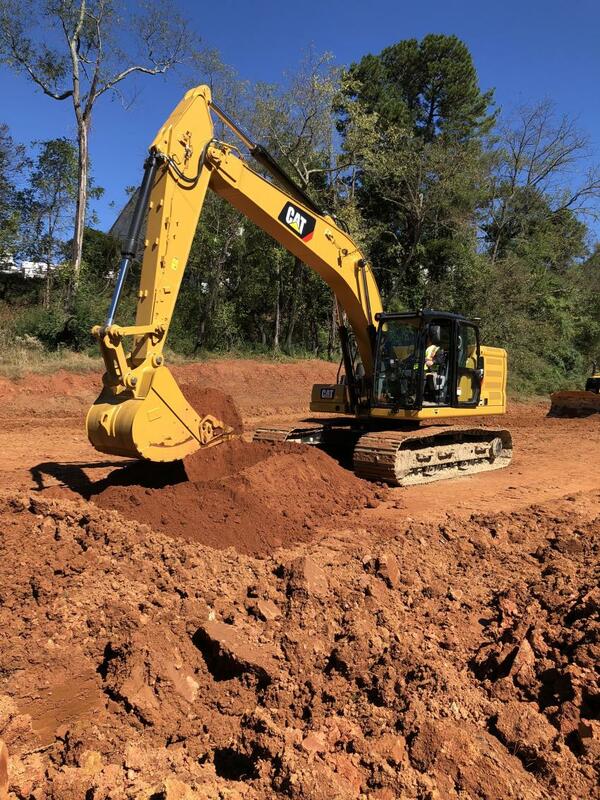 It comes equipped with standard grade technologies like Slope Assist and Grade with 3D to make it easier for even less experienced operators to get more quality work done in less time. 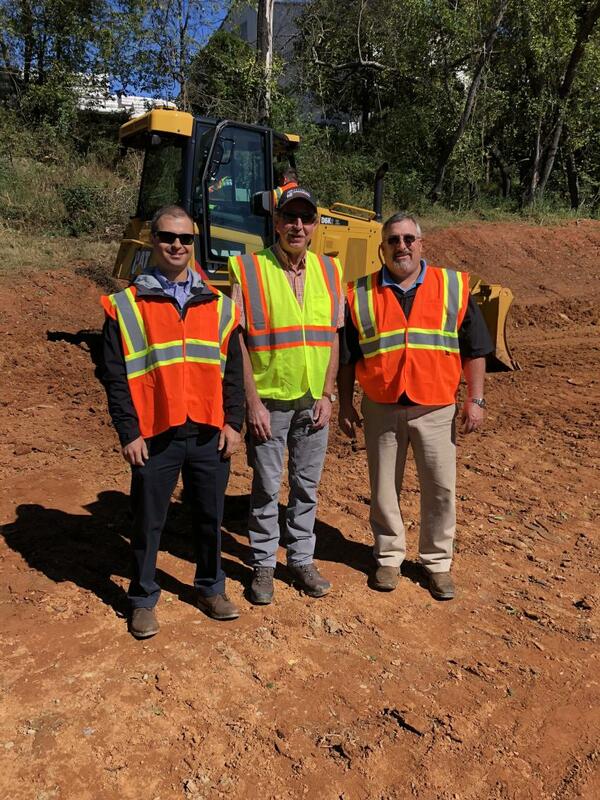 (L-R): Mike Tropsha, Carolina Cat; Mike Cloer of Cherokee Enterprises in Cherokee, N.C.; and Ben Patrick, Carolina Cat, discuss the 3D Grade Control system that is built into the new Cat D6K2 machines.